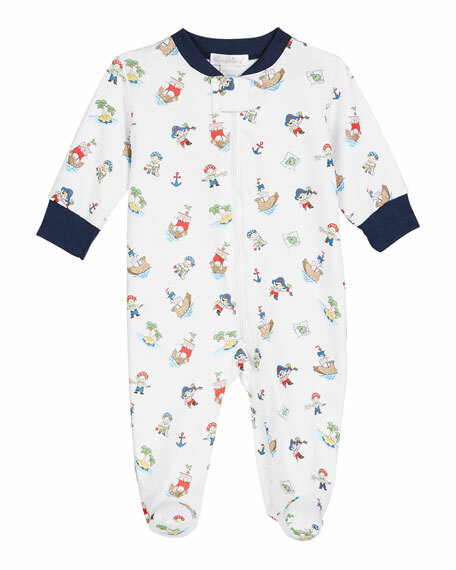 Kissy Kissy footie playsuit from the Pique Bunny Ears collection. Bunny embroidery at center chest. Crew neckline with contrast ruffle collar. For in-store inquiries, use sku #2516680. 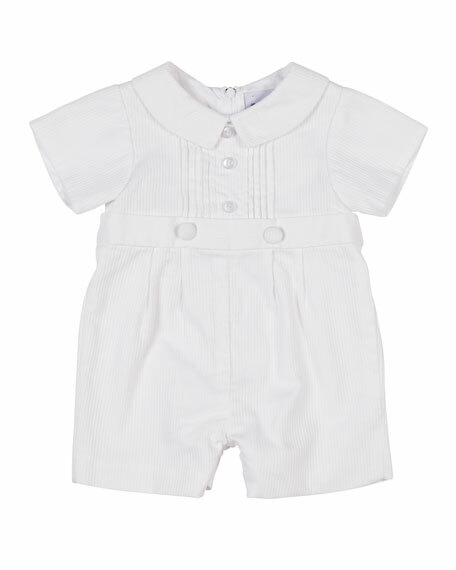 Florence Eiseman playsuit features pintucking on the front. Bermuda collar. Short sleeves. Buttons at front/back waist. Back zip. Cotton. Imported. 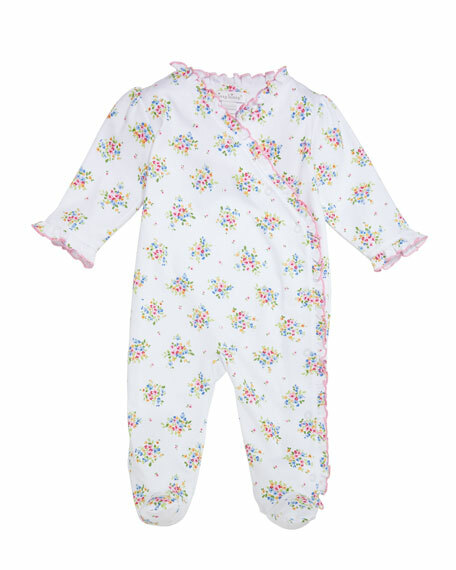 Kissy Kissy printed footie playsuit Petite Pansies collection. V neckline with surplice front. Long sleeves; ruffle cuffs. Ruffle trim through neckline. Footed silhouette. Snaps through front and legs. Pima cotton. Made in Peru. 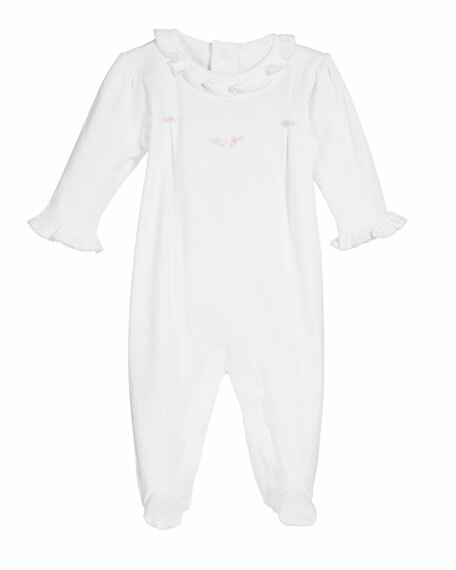 Kissy Kissy footie playsuit from the Premier Crochet Daisy collection. Flower embroidery through box pleated chest. Crew neckline with ruffle collar. Long sleeves with ruffle cuffs. Snaps at back. Footed silhouette. Snaps through legs. Pima cotton. Made in Peru.